ATL is proud to announce that the laboratory has been awarded with the title “Best Biogas Industry Testing Laboratory 2018”. The Institute of Food Science and Technology (IFST) is the independent qualifying body for food professionals in Europe and the only professional food body in the UK concerned with all aspects of food science and technology. ATL was honoured to host a visit for IFST members to tour our facilities and discuss how ATL operates with the food industry. Follow the link below to see the IFST write up of their time on site. The UK is at the forefront of an outbreak of Salmonella that has been linked to cucumber in ready-to-eat foods. It has been reported that nearly 150 people have been affected by Salmonella food poisoning with 88% of the cases in the UK. Four other countries (Finland, Germany, Denmark and Ireland) have all reported cases of Salmonella enterica in cucumbers. The findings have come from the European Centre for Disease Control (ECDC) and the European Food Safety Authority (EFSA) who have identified ready-to-eat meals containing cucumbers as a possible source. The point of contamination in all cases has yet to be identified. The report also stated that whilst the origin of the cucumbers was Spain, no connection between the supply chain and the primary producers could be established. The outbreak includes 25 historical cases from 2014 to January 2017. The lack of a clear contamination source led the agencies to conclude it is likely new victims will emerge in early 2019, as has happened in previous years. Advice on storing, washing and preparing fruit and vegetables to prevent food poisoning, including E. coli. It is important to wash all fruit and vegetables before you eat them to ensure they are clean and safe to eat. Most people are aware of the importance of handling meat safely, but many consider the risk of food poisoning from vegetables to be low. A recent outbreak of Listeria monocytogenes associated with sweetcorn in 2018 has highlighted the need for end users to be aware of the risks associated with raw vegetables. Prepared Watermelons are often linked to Salmonella outbreaks. The fruit should be washed thoroughly prior to cutting. If there is bacterial contamination on the surface, then the preparation can spread that bacteria throughout the fruit. Washing will help remove bacteria, including Salmonella & E.coli, from the surface of fruit and vegetables. Most of the bacteria will be in the soil attached to the produce. Washing to remove any soil is, therefore, particularly important. When you wash produce, wash them under a running tap and rub them under water, for example in a bowl of fresh water. Start with the least soiled items first and give each of them a final rinse. Alternatively, low level Chlorine wash tablets can be used to create a food safe rinse solution for the reduction of surface bacteria. Washing loose produce is particularly important as it tends to have more soil attached to it than pre-packaged fruit and vegetables. It is always advisable to wash all fruit and vegetables before you eat them to ensure that they are clean and to help remove bacteria from the surface. There is always a risk of harmful bacteria on loose vegetables spreading to other food if produce is not stored, washed and cooked properly. As of 1st November 2017 ATL has retired the UKAS number 2320 that was associated with our chemistry department. All of our methodology has been merged into UKAS number 2262. The updated schedule is now available to download from the ATL website and also via the UKAS website. In our endeavour to constantly improve the service we provide to our customers, Alliance Technical Laboratories Ltd is undergoing a minor change to our UKAS accreditation. The existing UKAS number, that is presently associated with our Chemistry Department (UKAS 2320), will soon be retired and the associated methods will be merged with the existing UKAS number 2262. The 2262 number has up until now has been associated only with our Microbiology Department. Soon a single UKAS number of 2262 will apply to the entire company, both Microbiology and Chemistry Departments. The updated 2262 schedule and certificate will be available on our website for download, if and when you need them. The amalgamation of the two departments into one UKAS number is part of our ongoing improvements. This change will make it easier in the future for ATL to introduce new methods and services. We expect this to be completed by the end of October 2017. Sous-vide is a cooking method in which vacuum packed meat is placed in a water bath. The meat is cooked for longer and at a lower temperature than normally used. The water temperature is kept typically around 55 to 60°C. The aim is to cook the item evenly, ensuring that the inside is properly cooked without overcooking the outside. This method maintains a lot of the moisture in the meat. It should come as no surprise that the popularisation of sous-vide cooking has been met with a degree of suspicion with relation to food safety. The safety risk of cooking meat at low temperature has raised eyebrows with food safety inspectors. · Products held between 5°C–60°C for too long could allow harmful bacteria to grow. · Products stored at refrigerated temperatures for long periods could be at risk from bacteria such as Listeria monocytogenes, which is able to grow at low temperatures. · Products cooked at low temperatures for short periods could be undercooked and food poisoning bacteria may still be present in the food. People using this technique have specialised equipment and monitoring tools that are suitable for the high level of control required. If there is any doubt as to the effectiveness of the control measures in place, then ATL can help. We are able to test the products cooked using the Sous vide method to see if there is a food safety risk post-cook. We can look for the presence of food poisoning bacteria like Salmonella and Listeria in our UKAS accredited laboratory. Our testing can help to show if the exacting controls in place for sous-vide cooking are suitable for the safe production of the end product. If this is a service that you require then please contact the Microbiology department to find out more. The Food Standards Agency have worked with the Institute of Food Research to prepare a report regarding the food safety of Sous-Vide cooking. You can follow this link to access the report. ATL has been providing consultancy and feedstock testing for anaerobic digestion processes for some time. The increasing need for regulation and assurance in the quality of results meant that a lengthy validation was required. Now that this process is concluded, we are happy to announce that ATL is certified to carry out testing under the Biofertiliser Certification Scheme to the PAS 110:2014 standard. From initial certification, consisting of 3 separate digestate samples from 3 different portions of the AD process, to routine monitoring, we can now provide a full in-house service for our customers. In addition to the testing required under the BCS, we continue to offer tests for troubleshooting and evaluation purposes, including theoretical biogas yield and inhibition testing to assess quality and potential issues with input material. Our on-site microbiology department offers testing accredited by UKAS to ISO 17025, and are a DEFRA-approved laboratory for ABPR samples. Both departments operate under quality systems accredited by UKAS, which means your samples will be tested to the highest standards. At whatever stage of the anaerobic digestion process, whether investigating suitable input material for your plant, to initial PAS 110 certification and continued monitoring, ATL can provide a service that is right for you. Please contact us with your requirements and one of our team will be able to offer the right testing to suit your needs. Animal By-Product Samples. How much bacteria can your samples contain? c = number of samples the bacterial count of which may be between m and M, the sample still being considered acceptable if the bacterial count of the other samples is m or less. Your sample will fail if any of the sub-samples contains more than 5,000 E.coli colonies per gram. The sample will also fail if 2 or more sub-samples contain more than 1,000 E.coli colonies per gram. Animal by-products (ABPs) are materials of animal origin that are not fit for human consumption. Over 20 million tons of ABPs are created from slaughterhouses, food production factories and dairies each year across the European Union (EU). ABPs can spread diseases and can be dangerous to animal and human health if not properly disposed of. EU rules regulate the movement, processing and disposal of ABPs. If you manufacture a product that contains animal by-products, such as animal carcasses or food waste, then it’s possible that you will need to use the services of a laboratory like Alliance Technical to check your products are microbiologically safe to use. The “Animal By-Products (Enforcement) (England) Regulations 2013” which references the “Commission Regulation (EU) No. 142/2011 (implementing Regulation (EC) No. 1069/2009 of the European Parliament)” contains instructions for the testing of products containing ABPs. · Compost or Digestate from a composting or anaerobic digestate facility. These would be tested for Salmonella & E.coli. · Animal Feed from a petfood factory. These would be tested for Salmonella & Enterobacteriaceae. 1) The laboratory you choose must by UKAS accredited for the analysis required using the correct ISO standard methods. 2) The laboratory can be DEFRA approved too but this is not a statutory requirement. 3) Samples should be tested promptly on arrival at the laboratory. 4) All ABP samples should be tested 5 times for Salmonella and 5 times for either E.coli or Enterobacteriaceae as required. The laboratory method reference on the report can be cross referenced via the laboratory’s UKAS Schedule of Accreditation. From March 2011 no UKAS accredited or DEFRA approved laboratory should be using any other method than those listed above for ABP testing. 6) All final reports should include the UKAS mark for the laboratory used. Alliance Technical Laboratories (ATL) is UKAS accredited and DEFRA approved to test compost, digestate and animal feed samples. You can find our UKAS schedule and DEFRA approval certificates via our ‘downloads’ page. You can also find links there to the GOV.UK guidance on ABPs and a useful ATL guide "Laboratory Requirements for Testing of ABP". 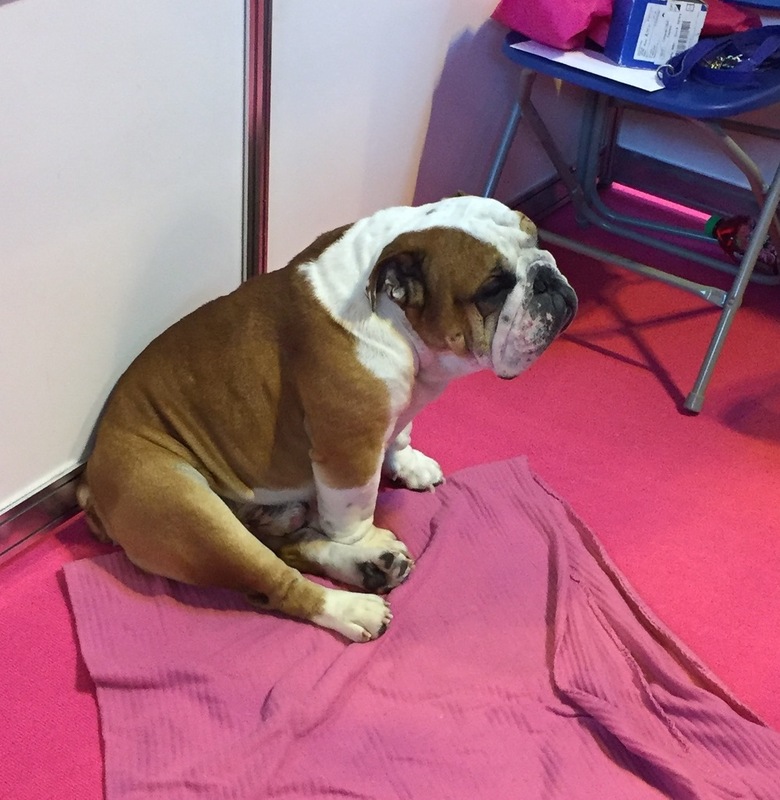 ATL had the opportunity to be amongst the estimated 160,000 visitors at the NEC in Birmingham for Crufts 2016. This year is the 125th anniversary of the show, with the first one being held at the Royal Agricultural Hall, Islington, in 1891. We were able to explore the 25 acre site and see some of the 22,000 dogs that are competing this year. We were also able to catch up with some customers both old and new, who were hard at work. We tried not to get in the way too much. We wish all the pet food manufacturers who are exhibiting, a very successful weekend and we look forward to catching up with you later in the year to see how it went.